Yuko "Yasako" Okonogi and her little sister Kyoko can't remember a time when they weren't looking at the world through their digitally augmented glasses. After all, e-space, a series of world-wide overlays of images and information, is where their virtual dog Densuke lives, and like many kids, the girls rarely take their glasses off. But when their family moves to Daikoku City, the e-space suddenly seems different. 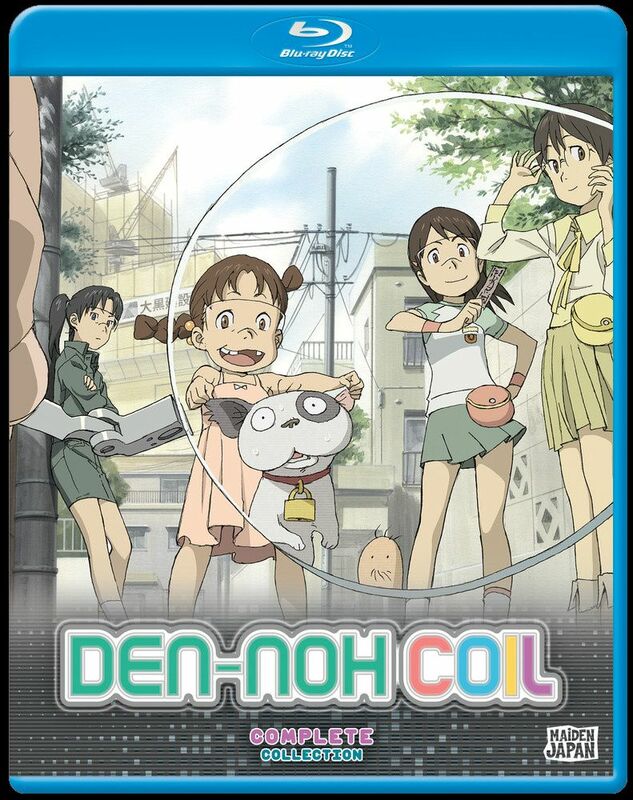 Yasako's new classmates are involved in hacking, and the urban legends about dangerous entities hidden in the programming become much more believable when she learns that one of their friends may have died chasing one. Scariest of all, Yasako has missing memories from the last time she was in Daikoku City. Did something happen to her? And did it happen in our world or one that shouldn't even exist? To find out, she'll have to take a journey through the digital looking glass and learn the shocking secrets of DEN-NOH COIL!